Dr Christos Kloukinas is a Senior Lecturer (equivalent to an Associate Professor in the USA) at the Department of Computer Science and member of the Software Engineering research group, one of the department's groups working on Software and Systems Engineering. 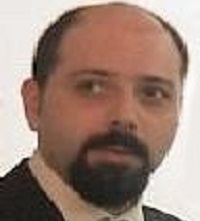 Christos holds a BSc degree in Computer Science (1994) and an MSc degree in the fields of Parallel & Distributed Systems and Machine Vision & Robotics (1997), both from the University of Crete at Heraklion, Greece. He also holds a PhD degree in Informatics (2002) from the University of Rennes 1, France. Before joining City University London, Christos worked as a programmer in the Machine Vision & Robotics Laboratory, Machine Learning group of ICS-FoRTH (Heraklion, Greece) and as a researcher in the PLEIADES - Parallel & Distributed Systems Laboratory of ICS-FoRTH, the Solidor research project of IRISA (Rennes, France), the Arles research project of INRIA-Rocquencourt (Paris, France) and the Verimag research laboratory (Grenoble, France). Christos' principal research interests are in the area of software engineering and embedded systems, focusing in the development of methods and tools for the analysis, fine-grain control, optimisation and implementation of mission-critical and safety-critical, hard real-time embedded systems. Also interested in Software Architectures, Security and Machine Learning. While at City Christos has been/is currently involved as an investigator in the IoT@Work, SLA@SOI, SeCSE, Serenity and Pepers research projects. Before joining City, Christos was an investigator in the MLT, Lydia, C3DS, DSoS, AMETIST and OMEGA European research projects, in the Expresso French RNTL research project and in the TinAster (France Telecom R&D) and ANACONDA (STMicroelectronics) industry-funded research projects. Mantzoukas, K., Kloukinas, C. and Spanoudakis, G. (2018). Monitoring Data Integrity in Big Data Analytics Services. Krotsiani, M., Kloukinas, C. and Spanoudakis, G. (2017). Validation of Service Level Agreements Using Probabilistic Model Checking. Ozkaya, M. and Kloukinas, C. (2014). Design-by-contract for reusable components and realizable architectures. Kloukinas, C. and Ozkaya, M. (2013). XCD - Modular, realizable software architectures. Ozkaya, M. and Kloukinas, C. (2013). Are we there yet? Analyzing architecture description languages for formal analysis, usability, and realizability. Lekeas, G., Kloukinas, C. and Stathis, K. (2011). Producing Enactable Protocols in Artificial Agent Societies. Kloukinas, C. (2005). Thunderstriking constraints with JUPITER. Kloukinas, C. (2004). Data-Mining Synthesised Schedulers for Hard Real-Time Systems. Krotsiani, M., Spanoudakis, G. and Kloukinas, C. (2015). Monitoring-based certification of cloud service security. Lecture Notes in Computer Science (including subseries Lecture Notes in Artificial Intelligence and Lecture Notes in Bioinformatics), 9415, pp. 644–659. doi:10.1007/978-3-319-26148-5_44 . Kagadis, G.C., Kloukinas, C., Moore, K., Philbin, J., Papadimitroulas, P., Alexakos, C. … Hendee, W.R. (2013). Cloud computing in medical imaging. Med Phys, 40(7), p. 70901. doi:10.1118/1.4811272 . Besbes, H., Smart, G., Buranapanichkit, D., Kloukinas, C. and Andreopoulos, Y. (2013). Analytic Conditions for Energy Neutrality in Uniformly-Formed Wireless Sensor Networks. IEEE Transactions on Wireless Communications. Kloukinas, C. and Yovine, S. (2011). A model-based approach for multiple QoS in scheduling: from models to implementation. Autom. Softw. Eng., 18, pp. 5–38. Ozkaya, M. and Kloukinas, C. (2014). Architectural specification and analysis with XCD: The aegis combat system case study. (pp. 368–375). ISBN 978-989-758-007-9. Spanoudakis, G., Kloukinas, C. and Mahbub, K. (2009). The Runtime Monitoring Framework of SERENITY. In Spanoudakis, G., Maña, A. and Kokolakis, S. (Eds. ), (pp. 213–238). Springer-Verlag New York Inc. ISBN 978-0-387-88774-6. Tsigkritis, T., Spanoudakis, G., Kloukinas, C. and Lorenzoli, D. (2009). Diagnosis and Threat Detection Capabilities of the SERENITY Monitoring Framework. In Spanoudakis, G., Maña, A. and Kokolakis, S. (Eds. ), Security and Dependability for Ambient Intelligence (pp. 239–274). Springer-Verlag New York Inc. ISBN 978-0-387-88774-6. Spanoudakis, G., Sanchez-Cid, F., Mana, A., Serrano, D. and Munnoz, A. (2009). Representation of Security and Dependability Solutions. In Spanoudakis, G., Mana, A. and 4. Kokolakis, (Eds. ), Security and Dependability for Ambient Intelligence (pp. 69–96). Springer-Verlag New York Inc. ISBN 978-0-387-88774-6. Spanoudakis, G., Kloukinas, C. and Mahbub, K. (2009). The SERENITY Runtime Monitoring Framework. In Kokolakis, S., Gómez, A.M. and Spanoudakis, G. (Eds. ), Security and Dependability for Ambient Intelligence (pp. 213–237). Springer. ISBN 978-0-387-88774-6. Kloukinas, C. (2007). "Assigning meaning to form". Position paper for the National Workshop on New Research Directions in Composable and Systems Technologies for High Confidence Cyber Physical Systems (CST-HCCPS). Organised by the Committee on Technology of the National Science and Technology Council, Federal Networking and Information Technology R&D Subcommittee, High Confidence Software and Systems (HCSS) Coordinating Group (CG). Kloukinas, C. (2007). "The need to revisit architectural connectors". Position paper for the National Workshop on New Research Directions in Composable and Systems Technologies for High Confidence Cyber Physical Systems (CST-HCCPS). Organised by the Committee on Technology of the National Science and Technology Council, Federal Networking and Information Technology R&D Subcommittee, High Confidence Software and Systems (HCSS) Coordinating Group (CG). Ardagna, C.A., Damiani, E., Krotsiani, M., Kloukinas, C. and Spanoudakis, G. (2018). Big data assurance evaluation: An sla-based approach. Krotsiani, M., Kloukinas, C. and Spanoudakis, G. (2017). Cloud certification process validation using formal methods. Ozkaya, M. and Kloukinas, C. (2013). Towards a design-by-contract based approach for realizable connector-centric software architectures. Ozkaya, M. and Kloukinas, C. (2013). Towards Design-by-Contract based software architecture design. Houyou, A.M., Huth, H.-.P., Kloukinas, C., Trsek, H. and Rotondi, D. (2012). Agile manufacturing: General challenges and an IoT@Work perspective. Kloukinas, C. (2009). Better abstractions for reusable components & architectures. Kloukinas, C., Lekeas, G. and Stathis, K. (2008). From Agent Game Protocols to Implementable Roles. Sixth European Workshop on Multi-Agent Systems - EUMAS 18-19 December, Bath. Spanoudakis, G., Kloukinas, C. and Androutsopoulos, K. (2008). Dynamic verification and control of mobile peer-to-peer systems. Kloukinas, C., Spanoudakis, G. and Mahbub, K. (2008). Estimating Event Lifetimes for Distributed Runtime Verification. Spanoudakis, G., Kloukinas, C. and Androutsopoulos, K. (2007). Towards security monitoring patterns. Kloukinas, C. and Spanoudakis, G. (2007). A pattern-driven framework for monitoring security and dependability. Kloukinas, C. and Yovine, S. (2003). Synthesis of Safe, QoS Extendible, Application Specific Schedulers for Heterogeneous Real-Time Systems. Kloukinas, C., Nakhli, C. and Yovine, S. (2003). A Methodology and Tool Support for Generating Scheduled Native Code for Real-Time Java Applications. Zarras, A., Issarny, V., Kloukinas, C. and Nguyen, V. (2001). Towards a Base UML Profile for Architecture Description. 1st ICSE Workshop on Describing Software Architecture with UML, held in conjunction with the 23rd International Conference on Software Engineering (ICSE-2001) 15 May, Toronto. Kloukinas, C. and Issarny, V. (2001). SPIN-ning Software Architectures: A Method for Exploring Complex. Kloukinas, C. and Issarny, V. (2000). Automating the Composition of Middleware Configurations. Kloukinas, C., Saridakis, T. and Issarny, V. (1999). Fault Tolerant Access to Dynamically Located Services for CORBA Applications. Computer Applications in Industry and Engineering (CAINE-99), 12th Int'l. Conference 4-6 November, Atlanta. Ozkaya, M. and Kloukinas, C. (2014). Realizable, Connector-driven software architectures for practising engineers. Communications in Computer and Information Science, 457, pp. 273–289. doi:10.1007/978-3-662-44920-2_17 . Ozkaya, M. and Kloukinas, C. (2012). Highly analysable, reusable, and realisable architectural designs with XCD. Communications in Computer and Information Science, 340 CCIS, pp. 72–79. doi:10.1007/978-3-642-35267-6_10 . Stathis, K., Lekeas, G. and Kloukinas, C. (2006). Competence Checking for the Global E-Service Society Using Games. ESAW, 4457, pp. 384–400. Zarras, A.V., Kloukinas, C. and Issarny, V. (2002). Quality Analysis of Dependable Systems: A Developer Oriented Approach. WADS, 2677, pp. 197–218. Issarny, V., Kloukinas, C. and Zarras, A. (2002). Systematic aid for developing middleware architectures. Communications of the ACM, 45(6), pp. 53–58. doi:10.1145/508448.508474 . Kloukinas, C. and Ozkaya, M. (2012). XCD – Simple, Modular, Formal Software Architectures..
Botella, A., Compagna, L., El Khaoury, P., Kloukinas, C., Li, K., Maña, A. … Sinha, S. (2008). Patterns and Integration Schemes Languages (Final Version)..
Spanoudakis, G., Tsigkritis, T. and Kloukinas, C. (2008). 2nd Version of Diagnosis Prototype..
Amalio, N., Di Giacomo, V., Kloukinas, C. and Spanoudakis, G. (2008). Mechanisms for detecting potential S&D threats..
Botella, A., Compagna, L., El Khoury, P., Kloukinas, C., Li, K., Maña, A. … Sinha, S. (2008). Patterns and Integration Schemes Languages (Second Version)..
Kloukinas, C., Mahbub, K. and Spanoudakis, G. (2007). Evaluation of V1 of Dynamic Validation Prototype..
Mahbub, K., Kloukinas, C. and Spanoudakis, G. (2007). V2 of Dynamic Validation Prototype..
Androutsopoulos, K., Kloukinas, C. and Spanoudakis, G. (2006). Basic traceability model for run-time S&D monitoring..
Kloukinas, C., Ballas, C., Presenza, D. and Spanoudakis, G. (2006). Basic set of information collection mechanisms for run-time S&D monitoring..
Spanoudakis, G., Kloukinas, C., Tsigkritis, T., Androutsopoulos, K., Ballas, C. and Presenza, D. (2006). Review of the state of the art - security and dependability monitoring and recover..
Androutsopoulos, K., Ballas, C., Kloukinas, C., Mahbub, K. and Spanoudakis, G. (2006). V1 of Dynamic Validation Prototype..
Issarny, V., Kloukinas, C., Nguyen, V. and Zarras, A. (2001). An Architecture-based Environment for the Development of DSoS..
Periorellis, P., Romanovsky, A., Welch, I. and Kloukinas, C. (2001). Dealing with Interface Changes in the TA Case Study..
Issarny, V., Kloukinas, C. and Zarras, A. (2000). Architecture and Design..
Issarny, V., Demairy, E., Zarras, A., Kloukinas, C. and Rouvrais, S. (2000). 3DS Design and Development Methodology..
Issarny, V., Demairy, E., Zarras, A., Kloukinas, C. and Rouvrais, S. (2000). QoS Analysis..
Nikolaou, C., Labrinidis, A., Bohn, V., Ferguson, D., Artavanis, M., Kloukinas, C. … Marazakis, M. (1998). The Impact of Workload Clustering on Transaction Routing..
Kloukinas, C. (2003). Course on Real-Time Java for IN2P3. Christos is the current Scheme Director for the Technical Scheme of Postgraduate Courses, which includes the MSc in Advanced Computer Science, the MSc in Computer Games Technology, the MSc in e-Business Systems, and the MSc in Software Engineering, for which he is also the Course Director.